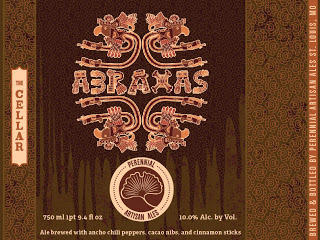 If you are in our Beer Reward Club (as of 11/16/17) and you have not received a bottle of Perennial Abraxas, sign up for the wish list now. We are mixing it up. We sent a BRC email last week and released it already. Deadline for those to be picked up is tomorrow at 7pm. We will have some leftovers. We will draw names for these leftovers. If you already got a bottle, you are not eligible. You have until tomorrow (November 18) at midnight to sign up. Emails will go out on Sunday or early Monday. Put it in your cart and checkout. Again, nothing will be charged. Is BRC a yearly renewal? I haven't ordered anything since 2015 but wasn't sure how often orders have to be placed to retain a membership in BRC. No need to renew, once you are in, you are in.